Winter Restaurant Week has descended upon Washington, D.C., offering up prix fixe menus for the tune of $22 for lunch and brunch and $35 for dinner. Making it easier for you (and your wallet! ), we’ve rounded up a handful of Michelin-recommended restaurants offering up some killer menus this week. Make the most of it and take the Metropolitan Washington Restaurant Week by storm. “One of several spinoffs of Chef Michael White's original in New York's SoHo, the menu manages to be both impressive and familiar,” state Michelin inspectors of the Italian eatery in the Navy Yard. 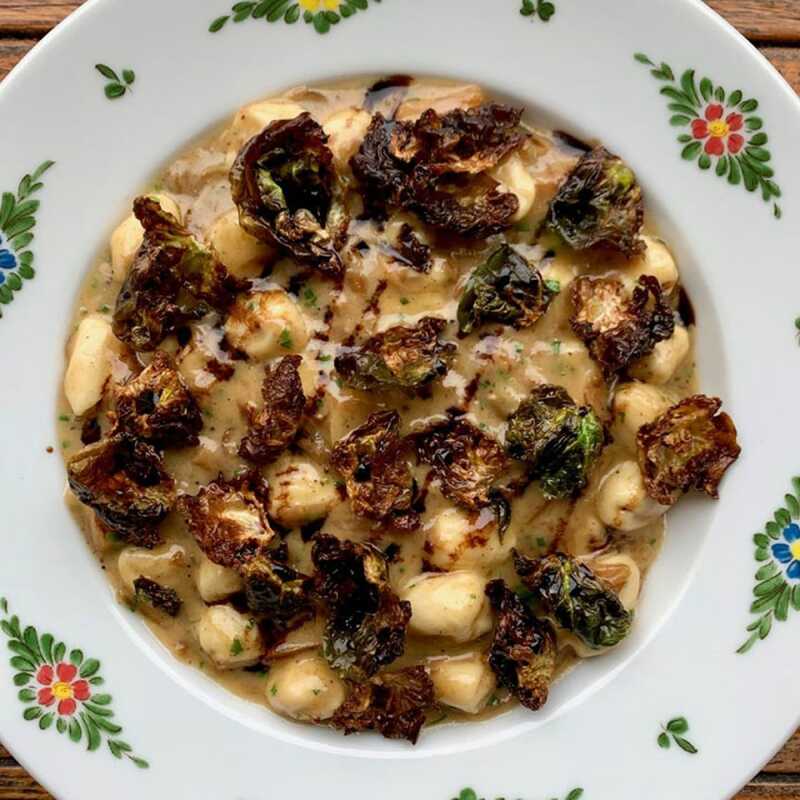 Guests will find dishes like sunchoke soup with pickled sunchoke and Brussels sprouts; grilled Arctic char with chickpeas, fennel and blood orange; and pan-fried chicken breast, arugula, radicchio, lemon and Dijon aioli on the lunch menu. Dinner additions include slow-braised veal breast with farro and roasted parsnips and squid ink pasta with mussels, tomato, Fresno chile and mollica. At Ryan Ratino’s restaurant donning whitewashed brick and a living wall crafted of moss, dinner dishes include scallop mi cuit with beets, cara cara orange, vadouvan and yogurt; sunchoke with sweetbreads, maple, mustard seed and crème fraîche; swordfish confit with chorizo, white beans, young carrot and berigoule emulsion; and wagyu beef cheek with kalbi, charred cabbage, smoked potato and onion. Dessert aficionados will revel in the foie gras cake pops with hazelnut, chocolate and gold flakes at the end of the meal. for a sweeter brunch option, our go-to is french toast bread pudding with poached pear, walnuts, and crème fraîche. At David Chang’s D.C. outpost on I Street NW, Restaurant Week menus will be available for lunch, dinner and brunch. Look for dishes like spicy cucumbers with almond and togarashi, salt-and-pepper chicaharrón with salted chile pimento cheese, and grilled Creekstone steak with crispy potatoes and bagna cauda aioli on the dinner menu, and French toast bread pudding and soy egg with kimchi potato salad for brunch. “When the temperatures dip, head straight for Stable,” state Michelin inspectors, making this the perfect go-to for Restaurant Week. “Transporting diners to the Alps, this warming and proud pearl is replete with exposed wood beams, cozy lighting and Swiss flags.” Menu offerings for dinner include house-smoked salmon tartare, confit duck leg with beluga lentils and jus, gnocchi Parisienne with brown butter, sage and butternut squash, and soufflé glacé Grand Marnier for dessert. Meaning “great,” or “cool” in Hebrew slang, the menu at Ashok Bajaj’s Sababa offers both small and large plates boasting Israeli flavors and perfect for sharing. For dinner, guests will enjoy an array of spreads for the first course before moving onto small plates like roasted haloumi, smoked trout, and pomegranate-glazed chicken livers, and various kebabs like harissa-marinated chicken thighs or sumac and onion-marinated steak. Hero image courtesy of Sababa.